Starring: Jeff Bridges, Matt Damon, Josh Brolin, Hailee Steinfeld, Barry Pepper, Dakin Matthews, Paul Rae, Elizabeth Marvel. Charles Portis’ novel “True Grit” was given the big screen treatment in 1969 with none other than ridiculously overrated actor John Wayne in the lead role. He unbelievably garnered himself an Academy Award for his (and our) trouble but with the Coen brothers and Jeff Bridges, we get an altogether more fulfilling and faithful adaptation this time around. Tom Chaney (Josh Brolin) is a hired hand who kills a farmer and flees. The daughter of that farmer is an indomitable 14 year-old girl named Mattie Ross (Hailee Steinfeld). She hires tough, one-eyed US Marshal and heavy-drinking reprobate Reuben J. 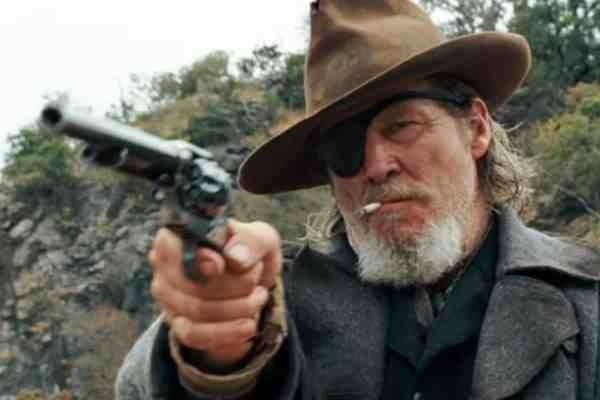 ‘Rooster’ Cogburn (Jeff Bridges) to bring him in. Joined by Texas Ranger La Boeuf (Matt Damon), the odd posse head into Indian territory on their manhunt. The Coen brothers’ attention to detail is second to none and some would even say that a western is perfectly suited to their talents. They certainly take great delight in the period with their wonderful eye for detail and exagerrated jangling of spurs. 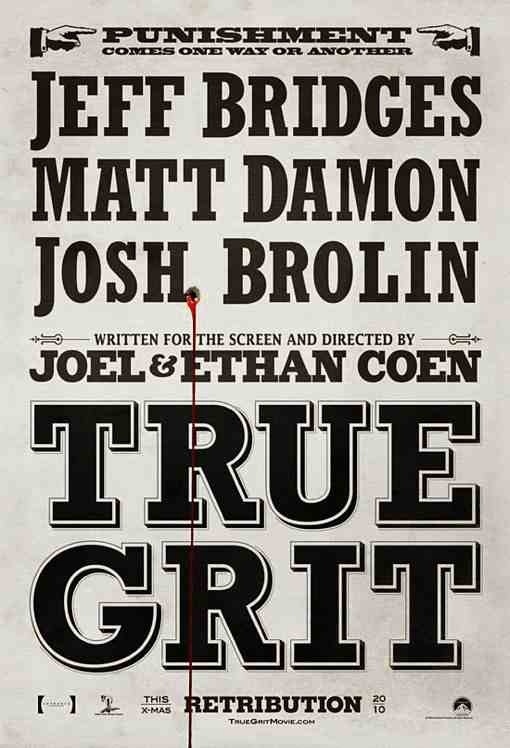 As well as the usual Coens array of colourful characters, the main performances are uniformly excellent. Young Steinfeld is impressively confident amongst an experienced cast; Damon amuses with good comic relief; Barry Pepper is disgustingly bad to the core; Brolin (all be it brief) is dangerously dim-witted and Bridges chews up the screen more than he does his tobacco. His ‘Rooster Cogburn’ is like a cross between his previous laid-back stoner ‘The Dude’ from “The Big Lebowski” and his cantankerous drunk ‘Bad Blake’ from “Crazy Heart“. As much as it was highly unlikely, I would have loved to have seen Bridges make it two Oscars in a row to become only the third actor to do so after Spencer Tracy and Tom Hanks. After all, John Wayne got one and he’s not in the same league as Bridges. Sadly though, it wasn’t to be and the same goes for Roger Deakins who missed out on an award for his gorgeous cinematography. He consistantly plays a massive role in bringing the Coens’ visions to life and here he outdoes himself. An award for the man is long overdue. A magnificent, beautifully crafted and gritty depiction of the wild-west that’s the best of it’s kind since…well, since the contemporary neo-western “No Country For Old Men” also by the mighty Coens with very sharp dialogue and a catalogue of great performances. This entry was posted on January 12, 2012 at 1:01 am and is filed under Drama, Western with tags 2010. You can follow any responses to this entry through the RSS 2.0 feed. You can leave a response, or trackback from your own site.